Santa Clara chiropractor, Dr. Heather Shaw is passionate about helping those who suffer from a variety of health issues.  Though chiropractic helps with traditional neck and back problems, it has also produced wonderful results with a variety of problems you wouldn’t normally associate with the spine. In addition to chiropractic, Nova Chiropractic Center for Optimal Health offers massage, nutrition and laser therapy to provide you with optimal wellness! We see patients of all ages, from children to those in their 100’s. A lot of patients are initially drawn in for pain and then continue to see us for wellness care. In this high-octane Silicon Valley area, we can help patients subtract stress and add ways to feel better. As Nova Chiropractic Center for Optimal Health is located inside a warm house, you won’t feel like you’re at the doctor’s office. With warm colors on the walls, you’ll feel relaxed right away. You’ll also feel comfortable because Dr. Shaw takes the time to listen to her patients. In fact, it’s what people comment about the most. She’s genuinely interested in her patients and establishes good connections with people. It’s a happy place where people look forward to coming. Dr. Shaw believes that educating people is imperative to empowering them so they can make choices that lead them down the path to optimal health. We offer free monthly classes featuring topics such as The Dangers of Sitting, Fantastic After 40, our popular purification classes on cleanses , as well as various nutrition and exercise classes. We try to teach people different options so they can make better choices.  Optimize your health starting today. Contact us today to schedule your appointment! Couldn’t have asked for a better Chiropractor. Dr. Shaw is the best. A wonderful approach to facilitating healing and health. Looking forward to loosening up some of the tight spots leading to better health. I played my best golf in a while last weekend. My back is a lot better after two treatments and my neck has improved after one treatment! I highly recommend Dr. Shaw! First visit was a very good experience. Thank you! I do like the clinic and the Dr. Shaw is excellent in knowledge and treatment!  With each procedure Dr. Shaw explained thoroughly as to why and what she was correcting. I appreciated that and the time and interest she took in me. I have found my new chiropractor.